Welcome to Table Talk Math. This week, we're taking an overhead view of Earth. Seriously! Great news! For the Spanish version of this week's newsletter, click here. Ed Campos has joined the team to provide a Spanish-translated version of our newsletters for parents who would appreciate it. Check it out and send Ed some love! Also, feel free to share the link (bit.ly/ttm25spanish) with your Spanish-speaking friends. How many airplanes do you see in the image above? How many terminals do you see? How many people do you think this airport can serve in a day? How much would all those airplanes cost? Why did they design the airport terminals like this? Sometimes, the best thing we can do to understand a problem is taking a step back and looking at it from a different approach. In The Daily Overview, you get a stunning satellite image of a new place around the world, all for free. In the image above, you are looking at Chicago O'Haire International Airport, an incredibly busy and large hub for travel, both domestic and international. Even better than asking these questions, find out what questions your child(ren) have after taking a minute or two to analyze it. 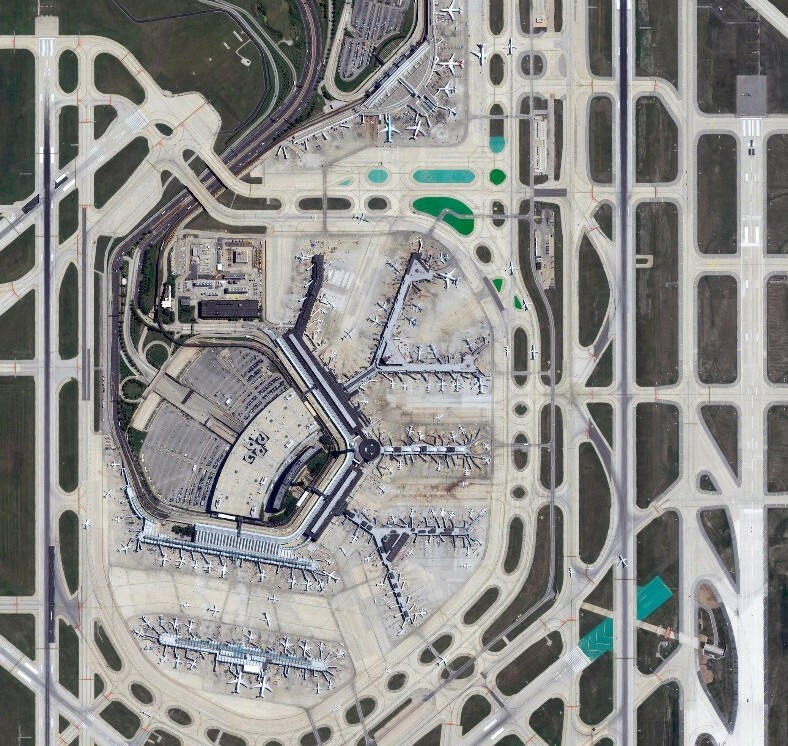 For more images like this, head over to www.dailyoverview.com/fiftyseven and explore the site. Maybe it isn't a math conversation that starts up, and that's completely fine. If we can give our children a different perspective, they might just begin taking a large-scale approach to other problems that they face as well. So here's a way to report back: what questions did you and your family come up with? Did you find out any solutions to those questions? Share them by emailing them back to me, posting them onto Twitter, or sharing them on the Table Talk Math Facebook page.